difficultly objectified called happiness, the pursuit of which,some feel,is purely an individual matter.How much can a public health approach clarify or must we review the social contract going all the way back to the origins of homo sapiens? 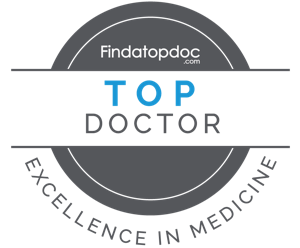 Click on the TopDoc medallion. Previous Happiness,Anxiety/Depression,Opioid overusage,…One Hell of a Gordian knot ! We know the way. We lack the will. You are a well informed person.The interrelationship between the founding documents is generally not known or understood as propaganda,fake news or the penultimate con. It may well be the lack of will,promoted by fear,prejudice,greed(choose your deadly sin) that is responsible for the ignorance. “We” don’t know the way. Our population is divided as to our read of reality. If our “charts” used for navigation are depicting non-existent (often wishful) seas and lands our ship of life is likely to be lost or founder. As “charts” are built from many forms of measurement, I have tried to use ideas that are best supported by measurable and logical testing. Public health studies can help, and they can be corrupted. Information comes from many sources. It will be the most tested blend that will give us the best path to the goals most worth pursuing. Subtle, but perhaps significantly important, there is a difference between a belief that government’s purpose is to provide opportunity; or, its purpose is to protect the God-given (or nature given) “unalienable” right of each citizen to life, liberty and the pursuit of happiness. The former assigns to “government” a primary role. Socialist methods are likely to prevail. The latter assigns to government a supportive function. Free market forces with a limited and divided-power government are likely to prevail. When each citizen “possesses” an equally protected liberty as regards personal concepts of life and the pursuit of happiness, incentive and disincentive guidance is maximized by virtue of each citizen being personally responsible, clarified by relatively quick consequences following actions ill and good. Profit and loss quickly tell us when to start producing and when to quit. Willing buyers and willing sellers tend to be happy people. Mundane forms of knowledge invisible to central governments are known by producers who are sensitive to their unique surroundings, thus allowing myriad subtle and not-so-subtle efficiencies. All interests, including a broad-based healthcare, benefit in a balanced fashion. GDP is expanded. But sometimes we experience real crises. War is such an example. We then shift decision-making to central authorities giving them the power to focus resources to counter the threat. Other interests go wanting as economic triage is employed. Those who perceive permanent states of “crisis” reasonably want a more controlling central government. Those who want greater degrees of individual liberty reasonably want less intrusive governments. Conversely, those who want more powerful governments tend to see crises that truly are not, and those who want liberty tend to diminish the true degree of threat. Obviously, the cure to this disease of exaggerated belief involves doses of objective reasonableness. This requires accurate judgments as to how much liberty must be jettisoned for how much security – and a government system both desirous and capable of relinquishing power as well as being proficient in its use. To this end our founders possessed unusual wisdom. The government they gifted to us allows this adjustment – to the degree that we remain wise enough to give power to those who recognize its healthy limits and who are willing to relinquish it.